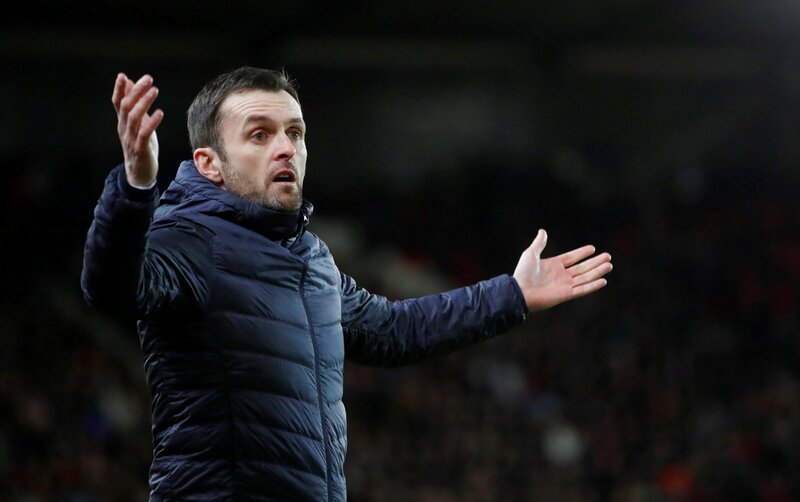 Stoke City succumbed to a 1-0 defeat against West Brom yesterday, but manager Nathan Jones claimed it was the best performance he’d seen from the players under his management. The Baggies led from the 25th minute courtesy of Dwight Gayle, with neither side able to add to that score. Whilst they fly high in fourth, their former Premier League rivals are having a significantly worse season. They’re now 17th in the table and brief aspirations of a play-off spot brought on at Christmas have been long forgotten. They’re 12 points clear of the bottom three, but they’re the same number adrift of the top seven. That isn’t something echoed by the fans replying on Twitter, although there does appear to be some division. On one hand there’s the grounded replies who see a work in progress, on the other those just plain angry at the club’s plight. Here’s a taster from both sides of the fence. We could have played until tomorrow and still not scored. It was no different to Rowett team. Woeful performance only Edwards and Etebo played well. Clucas was awful. Mclean did nothing. 1 win in 6 from Jones. I saw a lot more positives, it’s going to be a process, negativity does not help anyone!! Shock that the replies are all negative. So much for being willing to ‘show patience’. Jones’ job is to keep us safe and assess current players in his philosophy. Summer will be big for him. I actually agree with him here though, we played some good stuff, and are getting better.